Bicycles, by design, are beautifully engineered for simple function. The frame, more often than other parts the bicycle, is re-imagined artistically. 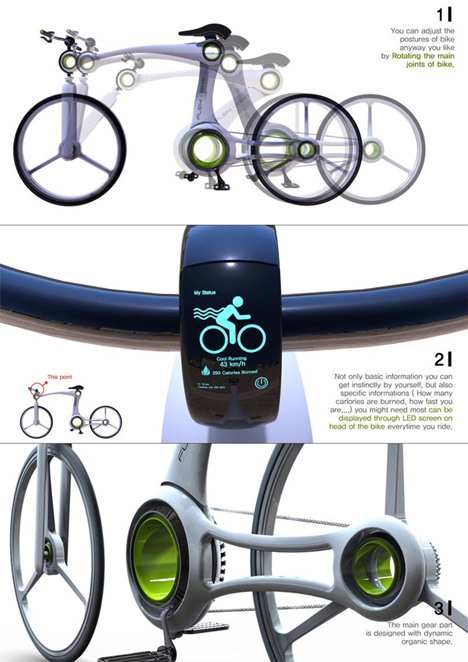 Now the functionality of the gears, chain, pedals and seat have been challenged by the Flexi-Bike. 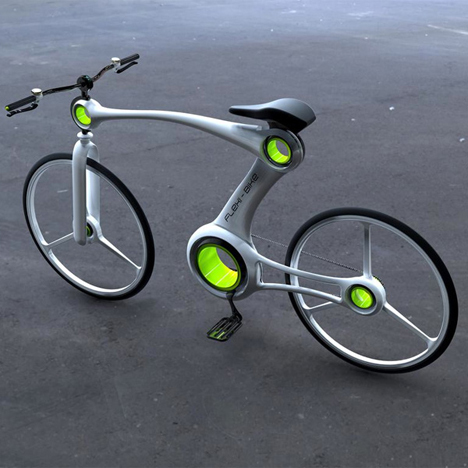 Designer Hoon Yoon is quite literally stretching the limits of the bicycle. The main joints of the Flexi-Bike are adjustable to multiple postures. 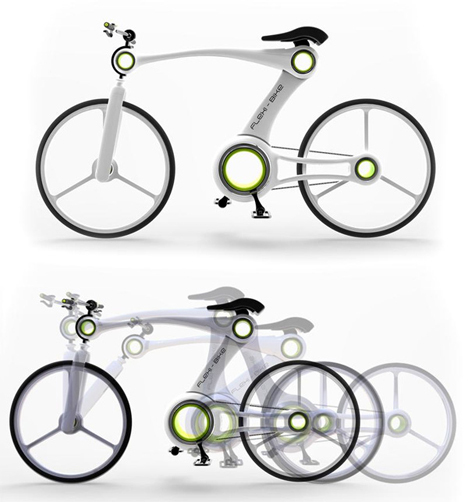 According to the Flexi-Bike’s description, the “main gear part” was designed with organic shape in mind. Between the handles sits a pretty LED display that lists basic information like speed, as well as custom stats like calories burned and weather. Whether or not this design is necessary or even plausible is fuel for interesting debate, but the display hub is what makes this one unique. The simple-yet-complex design conundrum of the bicycle has been taken up a notch.